Phoebe is a modern A-line shift dress with endless styling possibilities – layer it over tights and a sweater for winter, or stitch it up in a light and summery fabric! In this sewalong, we’ll be covering both the double-breasted Version 1 and the clean, classic Version 2. Let’s discuss the fabric, notions and other supplies you’ll need for your Phoebe. We’ll discuss a few basic adjustments you can make to customize the fit of your Phoebe. This lesson will cover both full and small bust adjustments for sizes 0-16. This lesson will cover both full and small bust adjustments for sizes 18-26. In this final fitting post, we’ll discuss adjusting Phoebe for wide or narrow shoulders. Time to dive in! We’ll start by cutting out our pieces and doing a little bit of prep work. Watch your Phoebe take shape! This lesson will cover a good portion of the bodice construction for both versions. 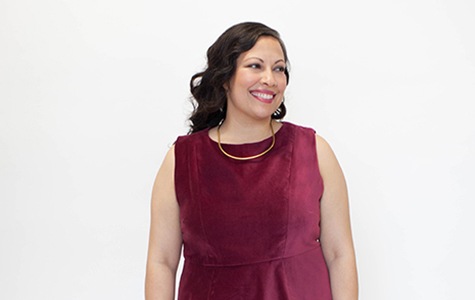 In this lesson, we’ll be sewing the waist seam to attach the bodice and skirt, and attaching the lining to create flawlessly finished neckline and armholes (Version 1). In this lesson, we’ll be sewing the waist seam to attach the bodice and skirt, and attaching the lining to create flawlessly finished neckline and armholes (Version 2). Zippers aren’t scary, really – just follow along and you’ll have your zipper done in a snap! You’ve made it to the finish line! Time for buttonholes, buttons, and hemming. It’s time to show off all your hard work with a parade post of some of your Phoebes.